US-China Today: Timeline of Xi Jinping's Political Ascension and Personal Life . Xi Jinping has been called “the most powerful man in the world.” He was named the “Paramount Leader” of China and assumes the titles of General Secretary of the Communist Party of China, the President of the People’s Republic of China and the Chairman of the Central Military Commission. 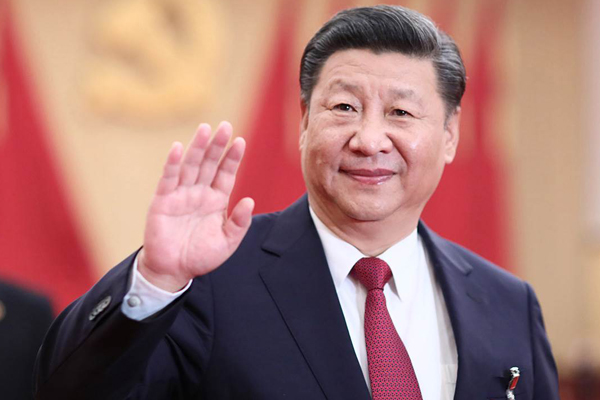 Xi Jinping is not only China’s most powerful leader since Mao, but also a figure with his own fascinating personal history with roots in rural Shaanxi province. At the most recent party congress, he was given a second term of presidency, cementing his leadership until at least 2022. Scroll through our timeline of Xi's ascension to power and personal history.